Are you waiting for the Galaxy Note 8! Just a few hours left when you’ll get the first official glimpse of the Samsung’s much awaited 2017 flagship, the Galaxy Note 8. Samsung at its Galaxy Unpacked 2017 event scheduled today in New York at 11 am EDT (8.30pm IST) will be launching the Galaxy Note 8, which till now has been appeared only in leaks. From recent leaks surfacing online, we have come to know that Samsung Galaxy Note 8 will be made available in 8 color options, but it’s unclear if these colors will be launched globally or region specific. These colors are Midnight Black, Arctic Silver, Orchid Gray/Violet, Coral Blue, Dark Blue, Deep Sea Blue, Pink, and Gold color. 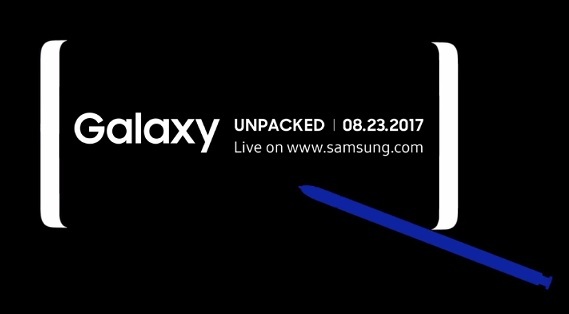 Samsung is ready to live stream the Galaxy Unpacked Event from its official website for the global audience. Indian users can watch the event both in English and Hindi from Samsung Newsroom India (for English) and Samsung Newsroom Bharat (for Hindi) today at 8:30 PM Indian Standard Time. As per earlier leaks, the Galaxy Note 8 is said to feature a 6.3-inch QHD (1440×2960 pixels) Infinity Display, but as far as the processor is concerned, there will be an Exynos 8895 SoC powered Note 8 for the global market, while in the US it will be powered by a Qualcomm Snapdragon 835. It will house a dual camera setup at the back, both featuring 12-megapixel sensors. The phablet to pack 6GB of RAM and 64GB of internal storage with microSD card support. It is also tipped that the South Korea will also receive the 256GB storage variant of the Galaxy Note 8. Previous articleHow Mercedes AMG GT Roadster and AMG GT R Will Perform in India?